Administered by the ACHP, Preserve America encourages community efforts to preserve and enjoy the country's cultural and natural heritage. 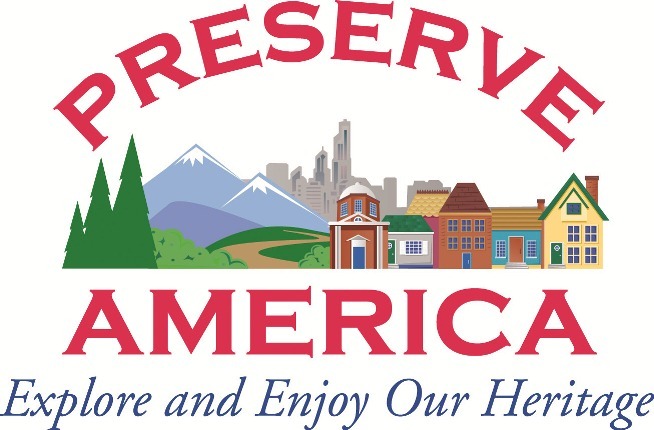 Preserve America Communities is a designation program that recognizes communities that protect and celebrate their heritage; use their historic assets for economic development and community revitalization; and encourage people to experience and appreciate local historic resources through education and heritage tourism programs. View Preserve America Communities throughout the United States. Apply for the special designation as a Preserve America community, neighborhood, or steward. Preserve America Stewards is a designation program that recognizes programs that have demonstrated a successful use of volunteer time and commitment in order to help care for our historic heritage. The Preserve America Presidential Awards are an award that was given out between 2004 and 2008 to organizations, businesses, and government entities for their exemplary contributions to preservation throughout the United States. Preserve America Grants are designed to support a variety of activities related to heritage tourism and innovative approaches to the use of historic properties as educational and economic assets. Other preservation grant programs also are available. Federal agencies that are partners in the Preserve America initiative offer a variety of information, technical assistance, and resources that can help further the initiative’s goals. The Preserve America Summit took place in 2006 to mark the 40th anniversary of the passage of the National Historic Preservation Act. Summit participants explored opportunities to build on past achievements to enhance the national historic preservation program for the future. View past editions of the Preserve America E-Newsletter. The Omnibus Public Land Management Act of 2009 permanently authorized the Preserve America Program. Preserve America Youth Summits offer students hands-on opportunities to engage with historic preservation and interact with local, state, and federal governments as well as many other preservation and community organizations. The summits take place in several locations each summer. Preserve America Youth Summits are a program of the non-profit organization Conservation Legacy.